Undertaking archival research in Africa is not always easy. This is why we have created a website dedicated to the colonial archives of French Equatorial Africa. Our first aim was to give details on access conditions for potential researchers who need to contact the director of the archives. We have also added a map showing the precise location of the archives centre next to the presidential palace in Brazzaville. This building is only temporary and the archives might be relocated in a distant future but at the beginning of 2015, this is where scholars and journalists can undertake research on the history of Congo-Brazzaville or French Equatorial Africa. This website also retraces the history of the colonial archives kept in Brazzaville. In theory, the colonial files should have been split into two distinct parts in 1960 when Congo became independent. On the one hand, the more sensitive ‘political collections’ were to be transferred to France while on the other hand, the ‘administrative collections’ were supposed to remain in Brazzaville. This division was not as rigorous as it should have been and many documents which should be found in Aix-en-Provence (France) were actually retained in Brazzaville. The Congolese files were subsequently divided into (at least) two sections during the 1960s. They were ‘rediscovered’ in 1974 and 1976 in different buildings of the University of Brazzaville and became an integral part of the Congolese national archives created in 1971. We also digitised the inventories of the Gouvernement Général and the Inspection Générale de l’Enseignement and a few sample documents. For example, we chose to create a pdf file with the police reports written on Albert Schweitzer by the French colonial authorities. Indeed, Schweitzer who had founded a hospital in Lambaréné (Gabon) in 1913 was suspected of German sympathies because of his Alsatian origins. His supposed “anti-French actions” can thus be analysed by historians. Let’s hope that researchers who spend time in different archives will think of digitising other inventories. This is, arguably, a time-consuming process but if all the concerned parties (national authorities, archivists and researchers) are involved it is pretty certain that it will generate a new wave of scholarship. 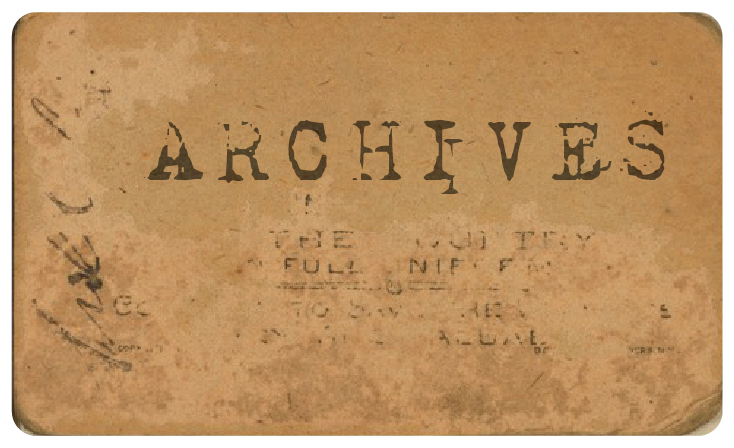 The archive link appears on http://www.gweaa.com under Resources/Archive Guide along with links to other African archives covering World War 1. Please let me know if there is info available on other releavant African archives to include.